Super lightweight single 15MB executable! 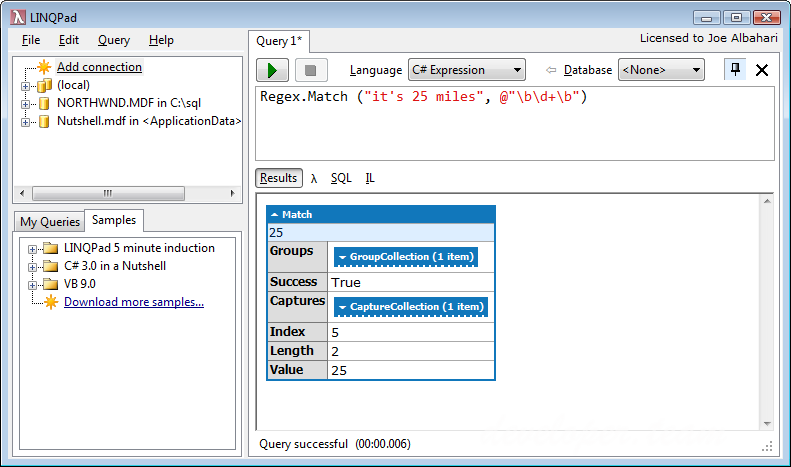 LINQPad can run not only LINQ queries, but any C#/F#/VB expression, statement or program. With LINQPad's instant edit/run cycle and optional full autocompletion, you'll have code snippets fully tweaked in less time than it takes to bring up Visual Studio's Add Reference dialog! Notice how LINQPad nicely formats the Match object. Complex object graphs are much more readable in LINQPad's output window. Again, you can keep tweaking your code until it does what you want, then paste working code into Visual Studio. You can even run a full program with additional methods: just change the Language to Program, and LINQPad will wrap your code in a Main method so you can write additional methods and classes. 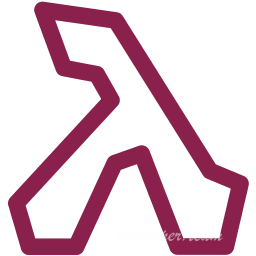 Need to reference custom assemblies or NuGet references? No problem: just hit F4 for the Add Reference dialog. LINQPad reports the execution time in the status bar, so you won't have to manually create a Stopwatch class for performance testing. Want to test a variation of your snippet? Ctrl+Shift+C instantly clones your snippet so you can run another version side-by-side. You can return to saved queries in single click, thanks to the My Queries treeview. Use LINQPad as a scripting tool! You can call Dump on any WPF or Windows Forms control and LINQPad will render it. This is a great way to write custom visualizers. In the My Queries treeview, you'll see a query called My Extensions. Here's where you can write methods and classes that will be available to all queries.